Sometimes I play the role of a professional portrait photographer… seeking the perfect expression, composition, exposure, background, etc. Sometimes I play the role of compulsive, snap-happy Mom with a camera. This week, I was the latter. 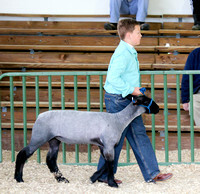 My boys showed a Cloverbud goat and a lamb at the 4-H Livestock Show & Sale, and of course I was there with camera in hand. It was a wonderful time with some of the best youth Edgecombe, Nash, and Halifax have to offer. My goal was to get shots for my boys’ project books, but as usual, I snapped more than that. I may have one or two of you or someone you know. These photos are presented “as is” with very little if any editing for you to use in your project books or wherever you choose. These photos are not representative of my professional portrait work, but should work fine as 4×6 prints or on facebook. You are welcome to download and share photos of you and/or your immediate family as you desire. For your convenience, galleries include an option for ordering prints directly from MPIX.com. 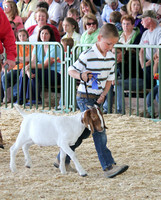 Thank you for being a part of 4-H! Note: The download feature for the photo galleries has now been closed. Please e-mail me if you need a copy for your project book.